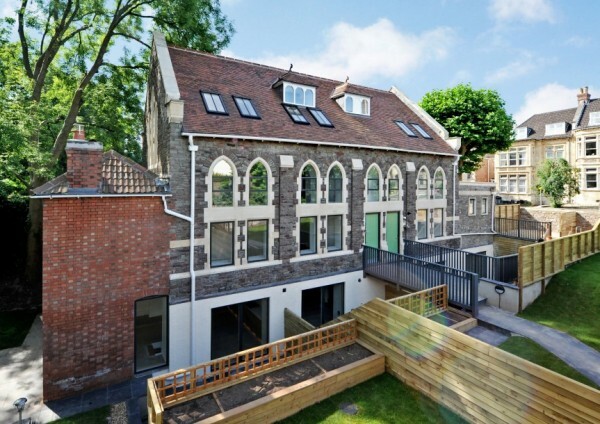 Brownfield Green have previously specialised in church conversions, converting numerous churches and chapels into multiple houses and flats. 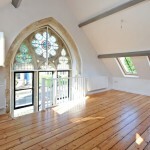 Through this work we have become the most established Church conversion specialist in the UK. We are a developer and main contractor, carrying out all of our own building work. 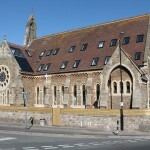 Church conversions make challenging construction projects but are immensely rewarding. 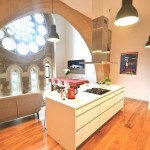 A successful church conversion reimagines the building to work as a home or homes. This means that there are a variety of spaces – from large open plan areas to more intimate ‘cosy’ rooms. Quite often this is a fundamental failure of church conversions, which provide open plan spaces but end up giving the sense of living in a big church hall. Our conversions remind you that the building used to be a church, without it being detrimental to usability and the feeling of the space. We think a house needs to feel like a home first and foremost, and a church second. 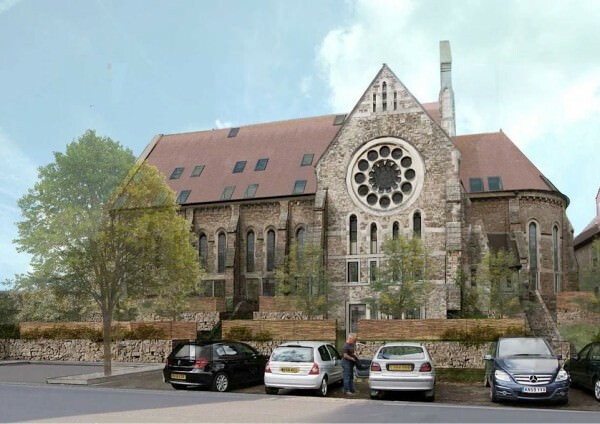 When we convert a church we always try to accommodate houses first, and flats second. 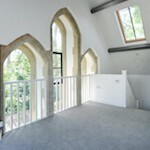 We think that houses work very effectively in a church, with the church split vertically rather than horizontally. 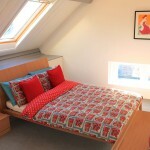 This allows the sense of high spaces to be retained through the use of double height rooms with mezzanine areas over. We make sure our conversions don’t lose the sense of space that too much sub-division creates. Churches are very complicated buildings to convert as they were originally designed for such a different use. The windows are always up high, making views out difficult. The windows are also usually stained glass, reducing light levels and views out. Church buildings are also nearly always large open spaces with huge floor to ceiling heights (great for a sense of space, but not necessarily what you want all of the time). Brownfield Green spends a huge amount of time and focus at the design stage to ensure we create homes that recognise these challenges, and turn those challenges into the character that people want, but in a way that is practical and above all homely. When converting churches we always keep the old and new overtly separate. 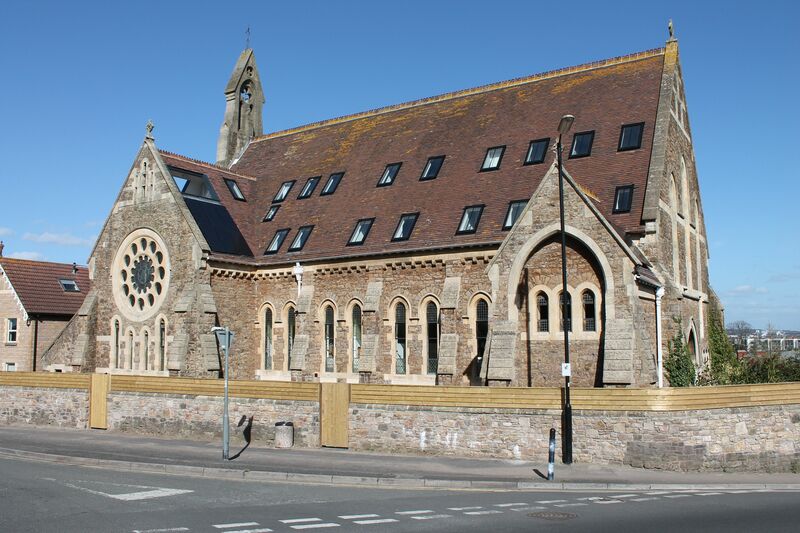 It is a common mistake, in our view, to make a church conversion look like it has always been that way (a pastiche). We find it is much better to allow old and new to contrast against each other. The clean minimalism of flat white walls contrasts brilliantly with the texture and warmth of the original church materials – stone, timber, and stained glass. The new is kept plain, which allows the old features to remain prominent and not in competition with the new parts of the building. Churches do not tend to have sufficient windows to create lights levels suitable for a house. To overcome this we put significant additional windows into the building to ensure that it will be light and bright, with windows at the correct level to provide a view out. To achieve this we keep to the original architectural rhythm of the building, usually increasing the size of additional windows to improve light levels and window positioning. To do this successfully the alterations have to be made to the same quality (design and materials) as the original. This involves using traditional stone masons to form the new openings and adapt the stone using the original ornate ashlar detailing that most churches have (with actual hand cut Bath limestone, hewn from solid blocks of stone). This is extremely costly in time and money, but vital to the building looking coherent and as good as the original. The alternative to this is ill considered new openings formed from modern cheap materials – ruining the architecture and aesthetic of the original building. Or worse still, no new openings with windows that you can’t see out of and low light levels. We think the correct approach is clear! After our new openings have been formed, we always use a scandinavian window system, usually a Velfac 200 series window, as this provides a high quality composite window with a slim frame that complements the stained glass. We find the quality sits well with the existing building. We never have and never will use UPVC windows. 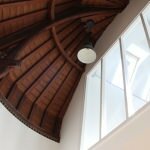 The leaded stained glass in a church conversion is one of the most important features, and worth retaining. However, we usually remove overt religious symbolism, and improve light levels by integrating clear sections of glass into the stained glass. By integrating clear glass into leaded stained glass, rather than replacing with modern windows, light levels can be boosted and views out given without losing the character of the window. Brownfield Green use traditional stained glass specialists to create this modern interpretation of the stained glass window, making them suitable for residential use. 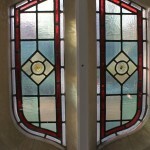 The stained glass is refurbished and secondary glazing fitted internally to improve energy efficiency to meet modern standards. Brownfield Green goes to great lengths to re-lay the original timber flooring in our church conversions. We have to remove it to change floor levels and install the services required in a modern house, storing for use later in the project. When we re-lay the boards we sand and varnish with a satin lacquer. None of the character of the boards is lost, and it allows the floor to meet modern standards in terms of it structure and insulation. 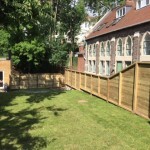 We always try to provide gardens for our church conversion homes and think that a garden needs to have usable spaces, which is why we nearly always fit our gardens out. We create flower beds and social decked or paved areas for tables and seating. A garden doesn’t necessarily need to be big if it has a good aspect and defined usable space. In our church conversions features rule the roost. We try very hard to make sure no feature is lost during the build. Roof trusses remain exposed, and bath stone pillars are revealed rather than covered over. Stone walls, where practical, also remain exposed to create a lovely contrast with flat white internal walls. The features in a church are usually repeated all the way through the building which means every house can contain historic features. Sometimes we also create features that enhance the existing building. Examples of this include the glazed screens that we sometimes use (instead of walls) to allow an unobstructed view through the house, helping retain the sense of space that a church has. A church roof is a very important part of the building. We always retain and re-use the original tiles/roof covering. Some times we re-lay the roofs from scratch, depending on condition, and on other occasions we find a roof in generally good condition that can be refurbished and insulated from beneath. There is no set solution for a church roof, each is different! When laying out solar panels and roof lights, we try to maintain the rhythm of the building set out by the windows below, so that the windows relate to the building. All too often on a conversion, you see a complete disregard to the location of roof lights and solar panels, which can have a very negative effect on the building. A church has to be insulated to feel warm, and to become a modern home. Obvious but worth stating! We always insulate to meet modern standards, meaning a Brownfield Green home will be insulated to the equivalent standard of a new build house (not easy or cheap to do but thoroughly worth it). This means that living in a historic building no longer needs to be a compromise with respect to comfort, efficiency, and warmth. Brownfield Green have a lot of experience in church conversions but we always look to make improvements on every church we convert. There are obvious similarities between churches, for which we have established design principles, but there are always unique design challenges on every church. 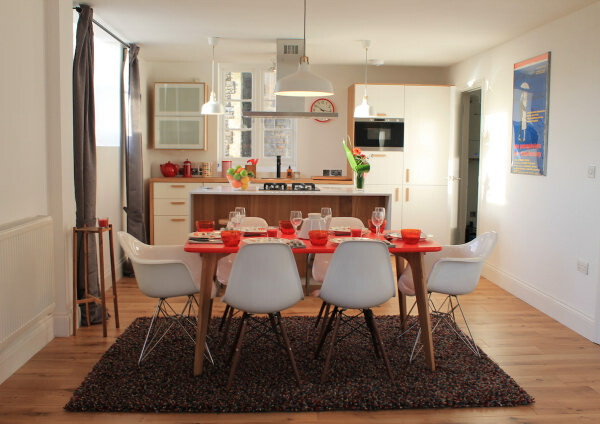 The experience we have gained allows us to create homes that people love living in – a modern home with history!